$10 off Toyota Oil Change! At Made in America/Made in Japan, we know there are two things that are very precious to you which we will be involved with: your time and your car. We work hard to do our best with both - we do quality Toyota repairs at our Sacramento shop in a timely manner so that we don’t take up too much of your time while we take excellent care of your Toyota. Our carefully hired technicians are chosen for their high skills in Toyota repair, maintenance and service. We can take on any Toyota repair job you have, from the small annoyances, to the big issues that render your car unable to drive, to the mysterious little ailments that you can’t explain. The technicians at Made in America/Made in Japan have seen it all! These are very popular cars in Sacramento, this has lead to their experience on every manner of Toyota repair job to be very high. 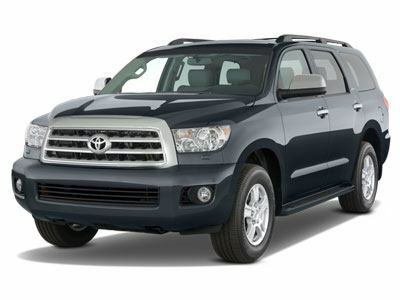 We offer our repair services on every model Toyota makes: 4Runner, Avalon, Corolla, FJ Cruiser, Highlander, Matrix, Sequoia, Sienna, Tacoma, Tundra, Venza and the Yaris. That’s quite the extensive lineup, but the Made in America/Made in Japan technicians are ready to handle repair work on all of these Toyotas, and even past models not currently being produced. Made in America/Made in Japan understands how much you depend on your vehicle. Scheduling an appointment with us is your first step to minimizing the amount of time you’ll spend without your car while your Toyota is being repaired. Call the staff at our Sacramento shop now to find the right time for your hectic schedule.